The furor over new Yahoo CEO Scott Thompson's inaccurate resume is shining a spotlight on inadequate employee vetting. Thompson, the third Yahoo CEO in the past year, claimed to have a computer science degree, which he doesn't, along with his actual degree in accounting. 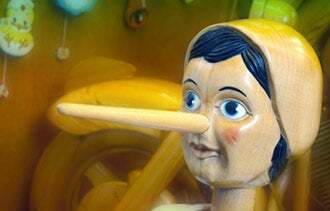 If Yahoo, one of the world's largest technology companies, with $1.22 billion in revenue in the first quarter of 2012, can be misled, what's to stop your potential hires from lying on their resumes? If your business doesn't have a dedicated human-resources department, you can still vet potential employees. What's key is to slow down and think through your choice of applicants, according to John Challenger, CEO of outplacement consulting firm Challenger, Gray & Christmas. Interview multiple people for a single position, and call promising candidates back for a second, or even a third, interview. Although this is time-consuming for both of you, it's a valuable way to gain insight into the person you're thinking of hiring. And when you interview someone, try to have other managers in the room. It's important to get feedback from colleagues about potential hires. Another manager's gut instinct could save you from making a potentially costly mistake. Internet search tools and social networks are good resources for checking on applicants. After all, Thompson's resume offense was caught by a Google search. But it's wise to do a background check on each new hire. Companies such as IntelliCorp provide employee-screening services for small and midsize businesses. IntelliCorp's packages range from $1,595 to $7,495, according to Kelly Ansboury, the company's director of business development and marketing. Decide first how wide and deep you want to go, and then choose a service that meets your needs. As a minimum measure, Challenger recommends checking potential employees' criminal records and citizenship status. Looking into their credit history or asking them to submit to a drug test are further steps you can take. 3. Seek out employment and character references. Challenger advises interviewing candidates who have been recommended by people you trust. But even then, you should still conduct your own background check on the person. With a candidate who doesn't have a personal recommendation, you should search out personal references. Go beyond those listed on his resume. Reach out to former co-workers or others who can verify the applicant's employment history and give you insight into the person's character. Although it's necessary to take precautions when adding someone to your company, Challenger said, lying on resumes is uncommon, especially in our age of information transparency. "With high unemployment, some people feel like their only way to find a job when they've been out of work for a long time is to take action they know is wrong," he said. "But most people -- whether it's out of their sense of integrity or their fear of being caught -- they don't take the risk."